A leader in diesel engine service, MnI Diesel has entered into the manufacturing and fabrication services. With the newly acquired 8,000 sq. ft. facility that will be used in manufacturing and fabrication, MnI will continue to provide the long-standing quality of products and services in the manufacturing service field. MnI Diesel’s precision fabricators feature several different types of equipment and a supply of materials necessary for a variety of jobs. MnI employs skilled fabricators who are not only trained in safety but also experienced in the different practices and type’s metals and machinery necessary to provide a quality finished product. 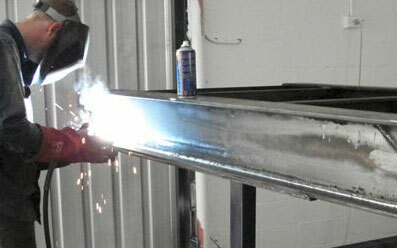 Our TIG, MIG and stick welding is done by expert welders with experience and the proper equipment. Keeping our workers safe along with providing quality work, and satisfying our clients are the main priorities of MnI Diesel.